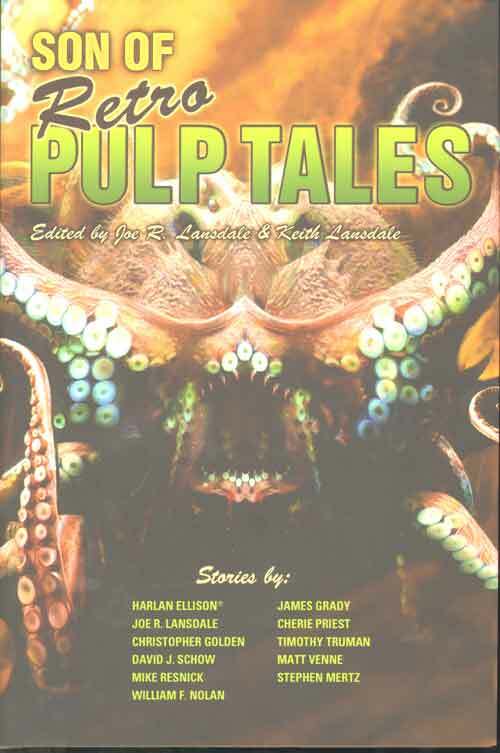 The time that it is about is the arrival of Son of Retro Pulp Tales (Packed by Theresa!). I ordered this last September and I’m pretty sure it was originally supposed to come out August 2009. I received copy number 193 of the limited edition. 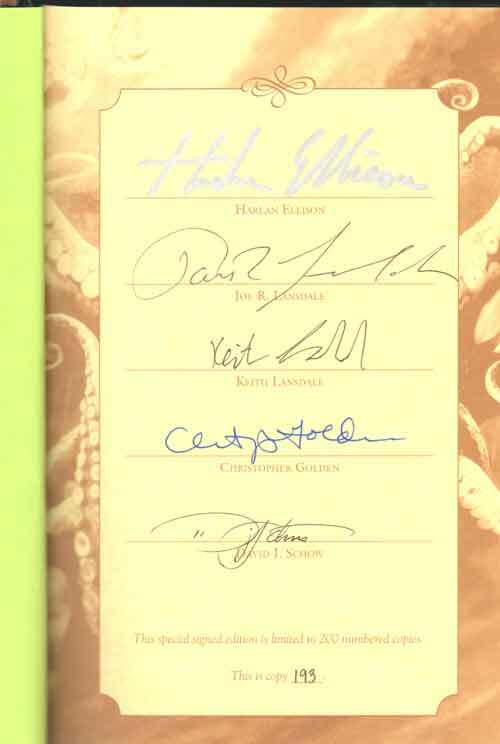 So I have some pulpish adventures to look forward to, courtesy of Harlan Ellison, William F Nolan, Joe R Lansdale and others. I think everything else will be put aside until I’ve gone through this tome. Today I also received a couple of other books, one of which is The Third Pan Book of Horror Stories. I ordered this from Abe Books because it was supposed to contain a story by Bob Shaw, A Real Downer. The book arrives and there is no Shaw story in it. Going back to Abe books it’s The Pan Book of Horror *Dark voices* 3. Bugger. No doubt a re-launch of the series. The seller selling the book with the Shaw story was (still is) selling four books and I only wanted the one so I went to another seller later on in the search who was only selling the one edition. Still some short stories to read later on. One thing that pisses me off is that the three books that arrived were too large to put through the letter box so I had to go and collect them from the Post Office. I know I can have them re delivered but it doesn’t seem worth it. The main Post Office where they go back to is only a five/ten minute drive. All three books were packaged so they wouldn’t go through the letter box. Fine for the Pulp Collection; it came from America and was securely packed in a box for its transatlantic journey. The other two had no excuse as they were both small paperbacks. But they were packaged in flat packed envelopes – which were bloody difficult to cut into for fear of cutting into the books – that were just a waste of packaging.